One of the categories that I don’t focus on writing about anymore is SEO. I try to follow it and stay up-to-date, but Google seems to be updating or changing something more often than they did a few years ago. What may have worked years ago could potentially lead to a loss in rankings or a penalty of some kind today. I don’t have as much time to read up about all their changes and updates as I used to. I just abide by their guidelines, and hope for positive results. When Google first announced their Disavow tool I read about it, but it wasn’t something I was prepared to jump into. I thought it would be better to wait and see what kind of results others have with it first. At the time it was first announced it did seem like many people were very eager to use it, which is great more power to them. I figured I would sit back and see how it works out for everyone else. After reading many articles surrounding the use of the disavow tool, it is a little confusing trying to figure out just how well it works, or if it works at all for that matter. Some people report positive results, while others are convinced it does nothing or it didn’t work for them. It is certainly possible that they didn’t use it properly though. One of the biggest problems I see with disavowing backlinks is how to actually find and evaluate them. Not only is it difficult to find a decent online resource that will show you your backlinks, but going through them all one by one is nearly impossible if you have a lot of them. I recently found a really nice free backlink checker/analyzer. What you do is download your backlink data directly from your Google Webmaster Tools account in .csv format. Then, you upload it to the analyzer and it will provide some really impressive results. It does take time to analyze all your backlinks if you have a lot. The good thing is you can leave the page and come back later. It will continue checking them, and send you a link to the results by email when it is done. Much better than trying to check each individual backlink manually. This tool is primarily for automatically creating a properly formatted disavow .txt file that you can submit to Google. However, you don’t have to actually use it for that purpose. You can use it just to analyze and get a better understanding of your backlinks. You have the ability to check a box for the root domain (entire site) or the url (just the actual link to your site or page). Checking boxes is what is used to generate a disavow .txt file. On the Live Domains/Links part it will also show the actual anchor text used along with page it links to on your website. So, you can see a lot of details about your backlinks all in one. Another nice feature is you can export the results to .csv or .txt file. And, it does much more. Check it out and see for yourself. I should point out that it will only allow you to run one report per week. So keep that in mind if you have several sites/backlinks that you want to check. You would need to wait a week between testing again. Unlike other backlink checkers and analyzers you don’t have to register to use this tool, at least at the time of this post. The only thing that I might consider a drawback is since you upload your backlinks .csv to the site/tool you are providing them with all the details about your backlinks. Whether they do anything with it is unknown. So if it concerns you, then all I can say is don’t use it. Now this is really cool although I didn’t jump on that band wagon either. I wasn’t really that concerned with this and I’ve checked my standings with Google with their last few updates and I’m doing really good. I think after an earlier spring cleaning of my blog and getting rid of a heck of a lot of broken links and 404 errors then that really helped. I wasn’t too concerned with this but that tool sounds very interesting I have to admit. Thanks so much for sharing this and I know what I’ll be doing this weekend. I am not to concerned with disavowing links at this point, and I really don’t want to accidentally make things worse for that matter. 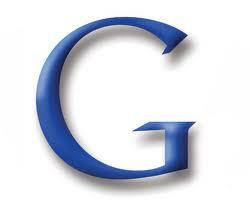 However, this tool does an excellent job at analyzing your backlinks as well. You might be surprised by the amount of dead links, sites or pages linking to you that don’t exist anymore, and exactly how they are linking to you. I definitely found some linking to me that were pure spam that I didn’t do with specific keywords. I would have never known otherwise if I didn’t use this tool. So it can be helpful for just keeping an eye on things as well. Something to mess with in your spare time for sure. Really nice tool, not only for the input for disavow. Will definitely give that a try. It is pretty impressive for a free tool. I like how it will tell you dofollow, nofollow, the exact anchor text being used, the page your link is on, and the page on your site being linked to. 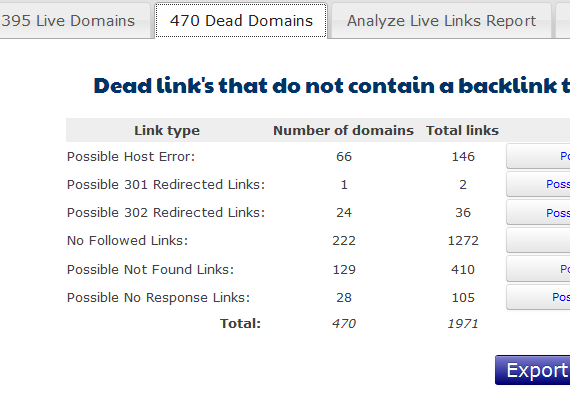 Not to mention the dead, broken, or other error related incoming links that may not exist anymore. I like that tool. I did not know about it before. 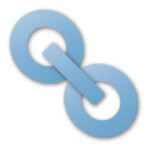 I have often wondered about all of those backlinks and just where they were linking. Was it someplace I wanted them to link or not. 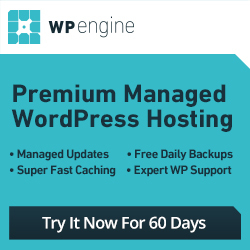 I am going to check this out and analyze my backlinks. I came over here from Adrienne’s blog. Thanks for a really cool tool. This tool is one of the better free backlink analyzers I have used. It is labeled as a disavow tool that will automatically create a properly formatted disavow.txt file that you can submit to Google. 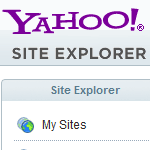 However, I use it for checking and analyzing my backlinks and it does a great job. I have tried a number of them in the past and this one by far provides more details. Certainly worth exploring. It was totally free last time I used it, and no need to register for anything either. Hi DialMe, Can you please tell any tool to check whether you got hit by New Google Algorithm or not? Please help!! I have been using Fruition’s Google penalty checker for awhile now. 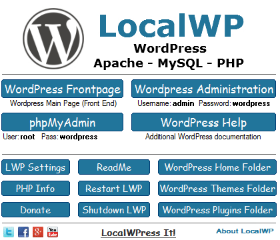 Their basic free checker provides enough details for most sites. If I remember right you do need to have a Google Analytics account that you connect to Fruition during sign up, which is what they use to calculate a penalty.